In the 60s, a Japanese song became incredibly popular not only in Japan but across the world. In Japan, it was called uewomuiteayukō 上（うえ）を 向（む）いて 歩（あゆ）こう or roughly, "I Will Walk Looking Up." It was an emotional song about the defeat of a popular Japanese protest movement against American military bases in Japan. But people in English-speaking countries renamed it "Sukiyaki," after a tasty Japanese dish which has absolutely nothing to do with what the song is about. It almost seems a little insulting — they might as well have renamed it "Sushi" or "Yakisoba." Little did we know that the Japanese have been exacting their revenge over our dumb translation for years, butchering American movie titles behind our backs. Fortunately, the all-knowing, all-seeing IMDB (Internet Movie Database) has the scoop on Japan's translations and reinterpretations of movie titles. 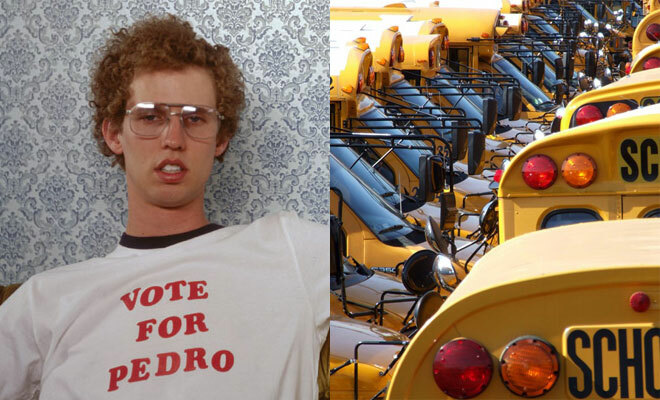 Napoleon Dynamite = "Bus Man"
I can't really see many people outside of the US really "getting" Napoleon Dynamite. Its humor is pretty strange, and was even kind of hit-or-miss in the states. So I guess it's not too surprising that the Japanese misunderstood even the title. Maybe the Japanese distributors of Napoleon Dynamite were hoping to ride the coattails of the popular Japanese story Densha Otoko or "Train Man." 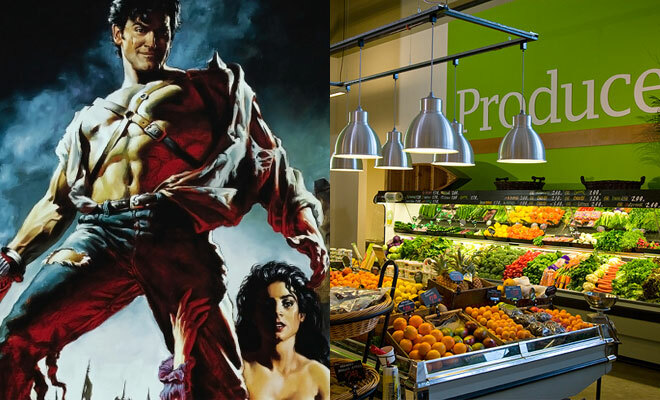 Army of Darkness = "Captain Supermarket"
Actor Bruce Campbell and director Sam Raimi make a goofy pair, known for their over-the-top films; but even this weird title doesn't make any sense. A department store (S-Mart) appears in the film, but is only shown briefly. And how did he rise to the rank of captain? Nepotism? Hard work? Only the Japanese know. Karate Kid = "The Best Kid"
I love it when a Japanese movie title cuts right to the chase and tells you what the movie is about. What's Karate Kid about? A kid who's the best (around). What more do you need to say, really? Austin Powers: The Spy Who Shagged Me = "Austin Powers Deluxe"
It's not surprising that the Japanese had a hard time translating the British slang term "shagged," (I'm sure it was strange even for US audiences) but the new title "Austin Powers Deluxe," makes it sound more like a fast food meal than a movie. Rejected titles: Austin Powers Supreme, Austin Powers Combo, Premium Austin Powers. 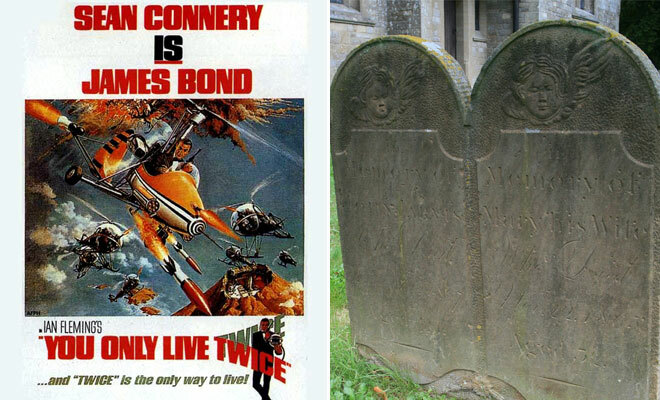 You Only Live Twice = "007 Dies Twice"
Even though You Only Live Twice is the only James Bond movie set mostly in Japan, so it's a little confusing to see the title of it mangled so strangely. I can see why the Japanese had trouble with this one, since it's a bit of a oxymoron, like Eight Days a Week. The Japanese title sounds cool though, in the right tone. It's like they're saying that 007 is such a badass that he dies twice. Yet the Japanese translation of Quantum of Solace is pretty damn good — irei meno hōshi u 慰（ いれい）めの 報酬（ほうしゅう）, or the "Comfort of Remuneration." Go figure. 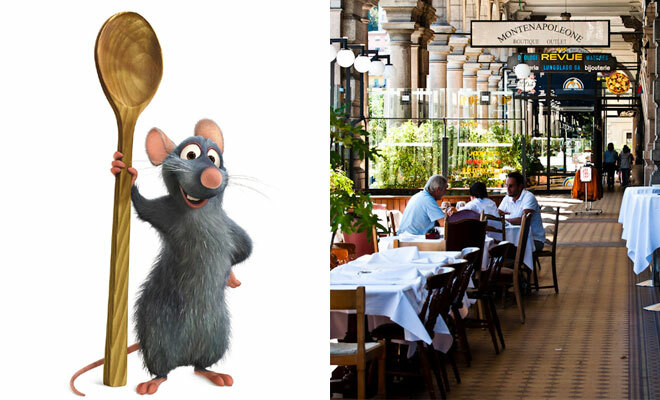 Ratatouille = "Remi's Delicious Restaurant"
I'm really not surprised that the Japanese changed the name of this movie — when it was marketed in the US, the movie posters had a pronunciation guide on them ("rat・a・too・ee"). Given that, the Japanese fell back on the basic tenent of translated film titles: explain the movie in the most literal sense possible. Hence, "Remi's Delicious Restaurant." 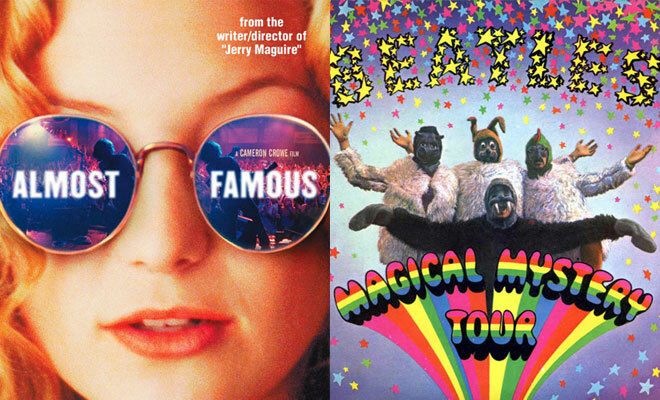 Almost Famous = "Back in Those Days with Penny Lane"
This one doesn't make a lot of sense to me. The original title isn't especially confusing or anything, but the renaming seems surprisingly apt. It fits well with the movie and makes sense to English speakers as well. I just wonder why the Japanese weren't satisfied with the original title. Just another mystery, I suppose. Up = "Mr. Carl's Flying House"
Sometimes Japanese movie titles forgo all subtlety and get right to the point. "Up" is kind of ambiguous; "Up" what? What goes "up?" "Mr. Carl's Flying House," however, gets right to the point. This guy, Mr. Carl, has a flying house. Bam! The whole premise of the film is delivered just in title. You're welcome. 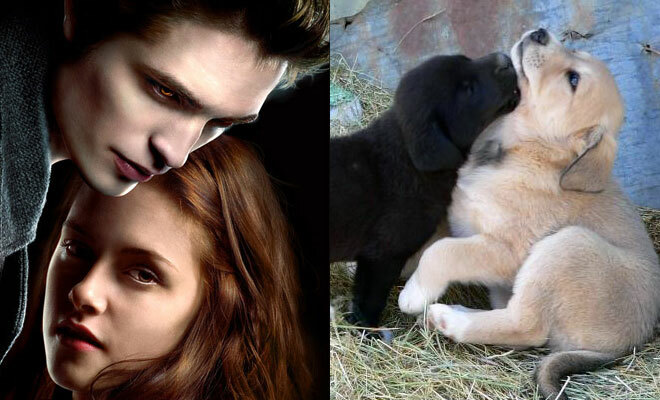 Twilight = "Twilight: Puppy Love"
What's "puppy love?" The dictionary defines it as "an intense but relatively shallow romantic attachment." Twilight? Shallow? Sounds about right. Fast Five = "Wild Speed: Mega Max"
Though one of the Fast and the Furious movies actually took place in the country, the franchise has always gone by the name "Wild Speed" in Japan for reasons unknown to me. Even still, the subtitle "Mega Max" doesn't really make any sense. None of the characters are named "Max," so what is the title talking about? Pushing things to the max? It remains a mystery to all but the Japanese. 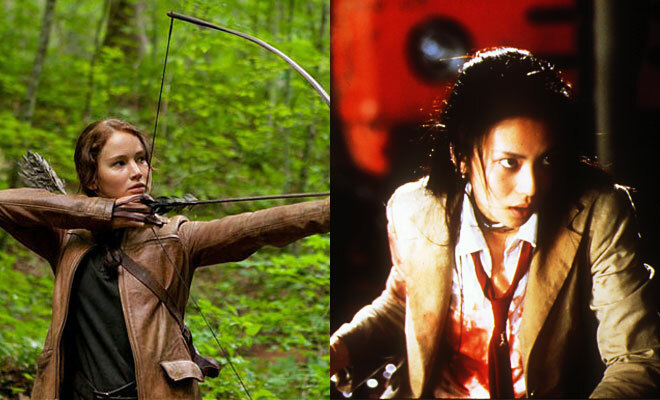 Honorable Mention: The Hunger Games = "Battle Royale"
The Japanese made a lot of changes to The Hunger Games when it came to their country. The cast was switched around, the premise was slightly tweaked, and the name was changed to "Battle Royale." There's even Battle Royale books and manga too! Who knew the Japanese loved The Hunger Games that much? For more, head on over to IMDB and search for your favorite movies. If you're lucky, their titles have been mangled to absurdity by the Japanese.